Mr. Cortés-Rexach has practiced law in Puerto Rico since 1984 concentrating in the areas of commercial and project financing and real estate law. His involvement in Puerto Rico’s tourism industry is extensive, having participated as counsel in a significant number of the major hotel and resort developments in the island including Rio Mar and Palmas del Mar Resorts, the Ritz Carlton Hotel and the San Juan Marriott Hotel among others. Mr. Cortés-Rexach has worked as real estate counsel in a number of renewable energy projects, including the largest wind farm in the Caribbean, a number of solar energy projects and a waste-to-energy facility. He also has extensive experience representing developers of office building, shopping centers and commercial real estate. He has acted as counsel to Puerto Rico and United States financial institutions, concentrating in the areas of commercial lending, real estate financing and asset-backed financing. 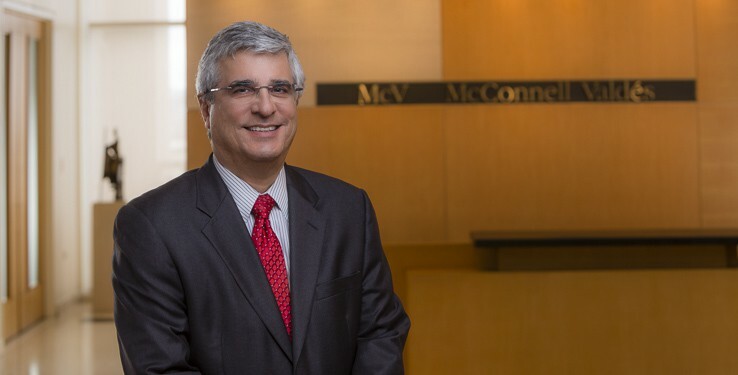 Mr. Cortés-Rexach has also participated as counsel to the credit enhancer in numerous bond issues of Puerto Rico Industrial, Medical, Educational and Environmental Pollution Control Facilities Financing Authority, a Commonwealth agency engaged in conduit financing, and in capital notes issues of local financial institutions. Mr. Cortés-Rexach is ranked as one of Puerto Rico’s Leading Attorneys in the Real Estate field by the renowned international publication Chambers & Partners in its Latin America Guide. He is also ranked in the Real Estate field of The Best Lawyers in Puerto Rico guide.